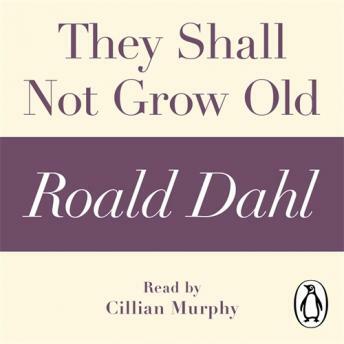 Penguin presents the audiobook edition of They Shall Not Grow Old by Roald Dahl, read by Cillian Murphy. In They Shall Not Grow Old, Roald Dahl tells of a pilot who goes missing for two days and the strange tale he eventually reveals on his return . . . They Shall Not Grow Old is taken from the short story collection Over to You, which includes nine other dramatic and terrifying tales of life as a wartime fighter pilot, and is drawn from Dahl's own experiences during the Second World War.